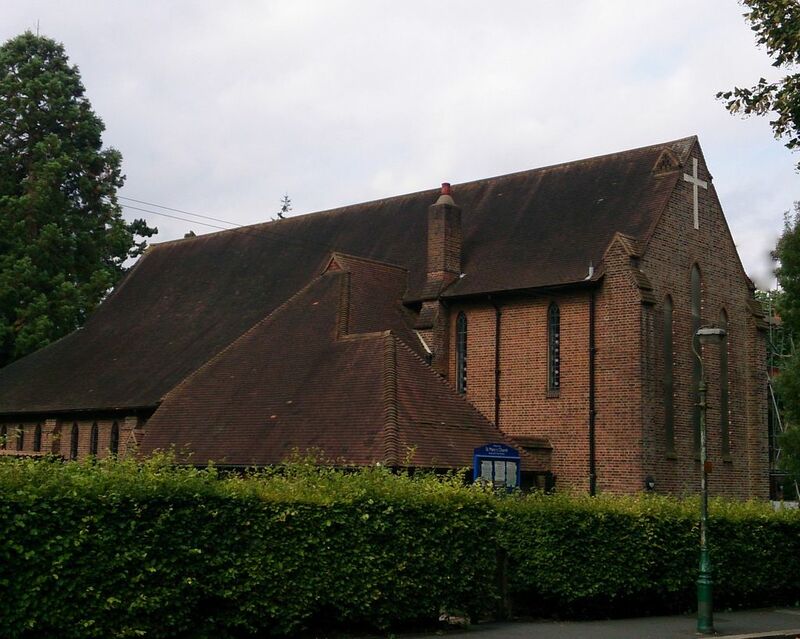 The church was built in 1925/26 to the design of Greenaway and Newberry. It consists of the traditional nave, aisles, chancel, north transept and Lady Chapel and south vestries. The baptistry, west porches and first floor rooms above were added by S E Dykes-Bower in 1960's. Roofs are tiled with trusses bearing on solid brick walls. There is no tower or spire. Frankly, it's a really dreary building. Go to the co-ordinates given and note that "L.Michael Hampshire" was church warden from ABCD-EF.